The classic American Express Blue Card provides cardholders a worry-free Amex credit card for everyday use. Its basic package includes an effective 1% rebate on eligible purchases, some special discounts, monthly and yearly statements to track spending habits, and world-class American Express customer service. ShopRunner program members receive free 2nd-day shipping from participating merchants. 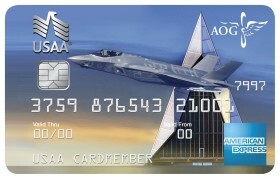 For all the fine print and application visit the American Express Blue Card site. Cleveland Cavaliers BBVA Compass American Express Card members will receive a new non-branded BBVA Compass AMEX card in September 2017. Fans can buy stuff at the official Cleveland Cavaliers online store with the usual forms of payment. Get official gear and souvenirs, such as jerseys, t-shirts, hats, collectibles, memorabilia, gifts, home and decor items and many other exclusive products not found elsewhere. For loyal Cleveland Cavaliers fans, check out their latest news through the links below. Download the brand new version of the Cleveland Cavaliers Official Mobile App for iPhone, iPad, Apple Watch and Android. Get Cavaliers news, stats and videos, offers not available anywhere else. Following the game, fans will have the opportunity to relive their game day experience with video highlights and interviews.